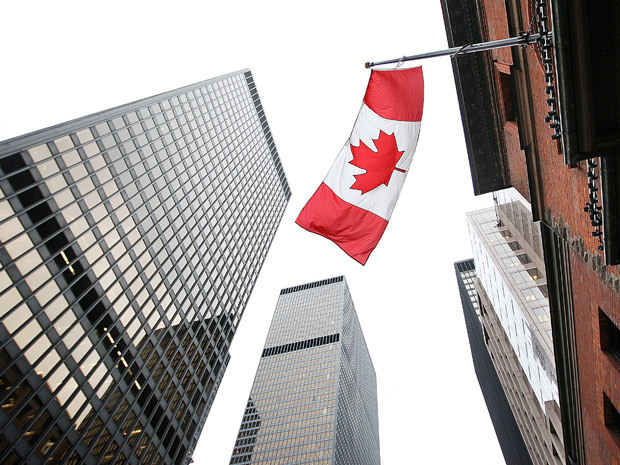 Hilliard MacBeth, portfolio manager and author of a recently released book about a Canadian real estate bubble, believes Canada’s market is in more at risk than America’s before 2008. According to MacBeth, U.S. investment in housing prior to its crash was six per cent of the total GDP. Record-low interest rates are drawing Canadians to the market and driving up prices. But MacBeth is advising Canadians to hold off on purchasing for now. "If they haven't bought yet, their best strategy is to save up more for a down payment, and wait for the housing bubble to burst," he said. It’s an opinion that won’t sit well with most brokers. MacBeth recently predicted a 40-50 per cent price correction for homes across Canada – a claim that was quickly refuted by industry professionals. MacBeth's ignorance is breathtaking. The property bubble in the US in 2008 was a function of horrific underwriting and securitization practises which never existed in Canada. Canadian mortgage underwriting has grown progressively tougher in the last 4 years. I will not debate the fact that property values are too high in some markets because they just are too high and a revaluation may occur but the pure insanity of the USA housing bubble is unlikely to repeat itself here. Likely something unpleasant will happen in Canada to property values but not to the depth and breadth that occurred stateside. The horrific underwriting has been studied in great depth over 8 years later its clear subprime was less than 15% of the market. Further it was a property bubble not subprime that brought the market down that was simply the focal point as it was sensational "Ninja" etc. The property bubble was fueled by low rates and easy money due with moral hazzard from securitization. In Canada we have lower rates easy money and CMHC which creates the same moral hazzard by allowing the banks to risk nothing. Agreed underwriting has grown tougher from the wild west that was 2006. And it is different here i.e. we don't have a complex derivative market and when our bubble is pricked it won't be likely at the same time a global credit crisis. The fact remains the same an economy fueled by credit is unsustainable, homes are at the lowest affordability ever and unlike the US our economy is incredibly under-diversified. Real estate (which requires debt to rise since incomes are stagnant) outpaces oil to which we are the least competitive in the world next to artic drilling in Siberia. When deflation occurs I wouldn't hazard a guess as to when or the percent but Hilliard numbers are close to the IMF/Deutch Bank analyst projections which are based on long term historical Price to rent and Price to income ratios. But then again maybe this time is different and it really is different here.